The Acer H257HU caught my attention whilst looking at 25″ monitors, especially if plane old HD isn’t good enough for you but you can’t afford to run a 4K screen – 1440p is a great stepping stone. I find 27″ is too big for my liking but you aren’t really going to get the benefit of a 1440p resolution on a small 23″ screen. This is where the 25 inch screen size has found a niche, big enough that text still looks comfortable without the need for scaling but not so big that you can’t take in the whole screen easily when it is sat right in front of you on your desk. The most striking thing about the Acer H257HU is the near frameless zero border design. If having a thin bezel matters to you then you will be impressed by the design on this screen – very attractive! This theme continues throughout with a slim and stylish finish leaving the the monitor with an overall very premium feel. A dual monitor setup will look superb. An anti glare screen also helps to reduce eye strain. Unfortunately the H257HU doesn’t win any points for adjustability the base gives you 20 degrees of tilt, but that’s about your lot I’m afraid, you can’t adjust it for height, swivel, or pivot. There’s no USB ports, but you do get a choice of DisplayPort 1.2, DVI, and HDMI 2.0 ports. The Acer’s IPS panel gives great colour reproduction out of the box and whilst the monitor allows you to calibrate the display you hopefully won’t need to unless you really like having that control yourself. As you might expect from an IPS based screen, the colour reproduction holds up from wide viewing angles. As for gaming, this monitor doesn’t come with any gamer specific functionality, there is no adaptive sync and a standard 60Hz refresh rate. However, for an IPS panel you get a great 4ms grey to grey response time and a 10 millisecond input lag which means that this monitor will stand up well in the battlefield. A quick mention for the monitor’s speakers which, thanks to DTS Sound processing and Acer’s True Harmony audio technologies, gives a better than average sound quality. Worth noting if you rely on your monitor’s speakers for sound output. This is the type of monitor that you might consider if you’re looking for a top quality image at 1440p. It’s a great pick for anyone looking at the mid size mainstream market. We give the Acer H257HU a 4 out of 5 rating. Want to know what existing owners of the monitor think? You can read real user reviews here. 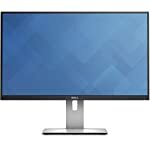 Should I buy the Acer H257HU? Welcome to the Acer H257HU FAQ. This section attempts to answer common questions you may have, please get in touch if you have any more queries or if you think our answers need updating. Reportedly around 32 watts of power in Standard mode, dropping to a respectable 25 watts in Eco mode. The power saving mode does drop the brightness but this won’t be a problem for most. Unfortunately not, no MHL port and no USB either. This monitor doesn’t win prizes for connectivity.